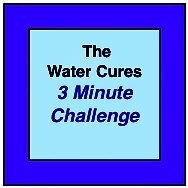 Here are the Water Cures FAQ, the most often asked questions about water cures. How often is the salt taken? How long do I hold the salt in my mouth? What about salt in food? Why drink more water during air travel? 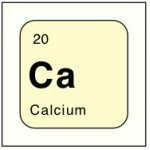 Why Does the Salt Burn My Mouth? Why Does the Salt Make Me Disoriented? Can I use the Water Cures if I have CHF? Using Water Cures if I have Kidney Disease? Do I Dissolve the Salt in My Mouth or in the Water? Can I Give it to My Dog? Can I Drink Decaf Coffee? What Diseases or Conditions Will Water Cures Help? Why does it make me sick to my stomach? Why am I getting sicker when using the water cures? Multiple Medications: Why Start Off Slow? What Should I do If My Blood Pressure Goes Up? Can I carry salt with me on the airplane? A. As a general rule, on a daily basis, drink half your body weight in ounces of water. This is the minimum. You may need more water. There are exceptions to this rule. When it is hot, dry, cold outside and or you will be working hard or working out, the amount of water you will need increases. 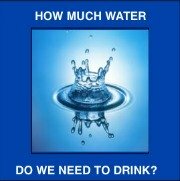 Another way to calculate, drink 10% of your body weight in ounces of water each time you drink water. Always drink at least twice a day. Work up to making three times a day a habit. Eventually, have a goal of drinking 5 times a day at the minimum. Again, when hot, cold or working hard, you may need more. Never consume more than 32 ounces in any 2 hour period and never consume large quantities of water with out also taking the unprocessed sea salt dissolved in your mouth. Doing so could be harmful to your health. A. There are a number of factors to consider. If your kidneys are in good working order, generally we need an amount of salt dependent on the amount of water we consume. Additionally, you will need the potassium you get from vegetables and fruits. If you only eat processed foods, this is not for you. Body size and weight determine how much salt we need. The PUR study, looking at almost 200K people found that those who had between 3.0 and 6.0 g of sodium per day (7.5 to 15.0 g of salt per day) did best. Those who had more or less were at greater risk of health problems. The confusion is in the difference between grams, teaspoons, sodium and salt. Grams and teaspoons are not the same kind of measurements. Also, we don't measure in grams typically. We measure in teaspoons. 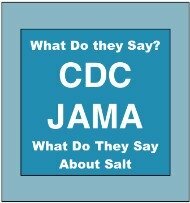 To further complicate matters, many recommendations only look at sodium. Salt comes as sodium chloride. Salt is made up of sodium and chloride. Unprocessed salt has sodium, chloride and up to 82 other trace minerals. A saline IV you would get in the hospital provides 9 grams (9000 mg) or 1.62 (1 5/8 tsp) teaspoons of salt (Wikipedia). Lets say you get 3 liters of saline IV every 24 hours. This is about 4.875 teaspoons of salt or 27 grams (27,000 mg). Then add an additional teaspoon in the food you eat. That is about 28 grams (on the high side). To further complicate this, unprocessed salt has a lower sodium content that refined salt. Some sites disagree but the salt companies who sell the salt have provided independent lab results saying there is less sodium content. This is not a license to eat more. You are just getting a better quality of salt and trace minerals. 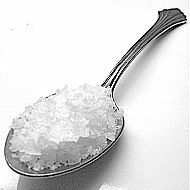 Tip:Based on the work of Dr. B and the current research, as a goal, try to eat at least 1/8th tsp of salt with each 10 to 16 ounces of water to start. Adjust it up or down as you need to get optimal performance. Those who are sick may need to start at a higher amount, say 1/8th tsp for every 8 to 10 ounces depending on what they are dealing with. Q. How Often is the Salt Taken? A. Every time you drink water as part of the protocol. If you are drinking water during a meal, since that is not the protocol and since you probably salted your food, it would not be necessary. For the 5 or 6 times you drink water as part of the protocol, and more if it is hot or you are working out or are in a dry condition, you would take the salt. You would never double up on the salt. So if you did the three minute challenge, you would not need to do the salt in addition to what was in the challenge. If you drink the Electric Green drink, you would not need to do extra salt, only what was in the drink. Q. How long do I hold the salt in my mouth? A. 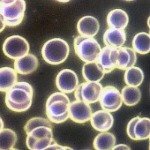 For those just starting out and testing the Water Cures protocol or those using salt as an antihistamine, there is a slightly different protocol. Hold the salt in your mouth for 60 seconds. Then remove it from your mouth. Some will spit it into a sink or put it onto a paper napkin to dispose of. Once out, you can wait a minute and then repeat for another 60 seconds. So long as the results are good, the third time using the salt, after 60 seconds, take a sip of water and swish the water to fully dissolve the salt. Then drink the water salt combo to line the esophagus. This allows the body time to adjust to the salt. It also allows time for you to see what the reaction toward the salt will be. If you experience a burning sensation, then a different approach needs to be taken. Q. What about salt in food? A. If you are following the protocol, taking salt dissolved in the mouth before drinking, the extra should not be a problem. According to the experts, if we have healthy kidneys, they can excrete the excess salt with no problem. If you move away from processed foods, you may be taking in less salt that needed. Read the above to determine if you are in the best zone of salt to body size. Q. Why should I drink more water during air travel? A. The air on an airplane is recirculated and has less moisture than we need. Also, high altitude increases water loss from evaporation. As a general rule, drink an amount of water in ounces of your body weight x 0.08 fore every two hours of flying time. Do not exceed 30 ounces in 2 hours. Do not drink the water with out the salt. Dissolve 1/8th tsp of salt in your mouth for every 8 - 10 ounces of water you drink. Carry the water inside your body rather than with you. Once your body is used to the water, most can hold their water for at least 4 hours before the need of voiding. Q. When I put the salt in my mouth, it burns. What should I do? A. This is the result of your body being too acid on the acid alkaline balance. Some have found that this resolves when they start getting their bodies more alkaline. They do this with aluminum free baking soda. They put one half teaspoon in a glass of water. It is stirred until totally dissolved. Then they drink it for three days, morning and night. On completing the third day, they are usually able to start the salt with out the burning sensation. Q. Why does the salt make me disoriented? A. Some people who drink a lot of water and do not use salt and start the water cures may experience disorientation. I they are also self restricting salt, this may be even more serious. Immediately drink more water with out the salt to help wash out the salt. Then when ready to start the salt, take only the smallest amount and start to build up to the dose that works best for you. Some may benefit from a teaspoon of sugar place on the center of the tongue. While there is a move against sugar, when taken along with the salt, it has a therapeutic benefit for most people. Q. Can I use the Water Cures if I have CHF? A. No, you should not use water cures unless you are under medical supervision. Q. Can I use the water cures if I have kidney disease? You need to be with a doctor who is experienced with the use of the water cures protocol. There are to many variables for you to try this with out an experienced doctor. Q. Do I Dissolve the salt in my mouth or in the water? A Most people benefit from dissolving the salt in the mouth. Dissolving the salt in the mouth allows for the fastest way to get the electrolytes into the blood stream. They are absorbed through the mucous membranes of the mouth. Some have used the salt in an alternative way by dissolving it in the water then drinking it. This may cause stomach upset for some. Although it works, we do not believe it is the best way to use the water cures. Q. Can I Drink Decaf Coffee? AIt is best if you avoid all coffee, even decaffeinated. Even decaffeinated coffee has some caffeine. There are hundreds of natural chemicals in coffee. In order to get a portion of the caffeine out, harsh chemicals like formaldehyde. If you are going to drink coffee, drink regular coffee. Better yet, do not drink any coffee. Note: Research has found that coffee is only slightly more dehydrating than water. Yes, water alone will dehydrate you. We need the salt for our body to get optimal benefit from the water we drink. Q. What Diseases or Conditions Will Water Cures Help? There are possibly 76 different diseases or conditions that the water cures can help with. Q.Can I use the water cures protocol for my dog? A. Yes you can, with one change. You will put the salt in the water. In our experience, it has only failed to help one dog out of the thousands who have tried it. Q. What temperature should the water be?? It is best to drink our water at room temperature or slightly cool. Our body is constantly trying to maintain our core temperature. To disrupt the temperature is hard on the body and disrupts the digestive process. A. Body functions, altitude, hot air, certain foods including alcohol, certain drugs specifically designed to medically cause the body to release water. The most common diuretic is water. In a normal day, we loose about 3 to 4 liters of water. This is about 10- 15 cups of water. This water is lost through sweat, urine, bowel movement and even when we exhale air. This is replaced by the water we drink and the food we eat. Non-water fluids we drink are treated by our body as if they were foods. Some hydration is provided but it is not as good as water. Of the water lost, between 1 and 2 liters are lost from breathing alone. Bodily functions such as urine and bowel movements. Hot dry air causes increased water loss. Diarrhea causes additional water to be lost. Little known fact, diarrhea may actually be constipation. Altitude may cause additional water loss through breathing. Some drugs cause us to loose water. They are called diuretics. Certain drinks act as diuretics. Water on its own is a diuretic. Coffee and tea are only slightly more diuretic than water. Exercise and Sweating are the most common causes of increased water loss. Diuretics: any substance that promote the production of urine. There are several drugs that cause diuresis in various different ways. Q. Why does it make me sick to my stomach? A. This is not a usual response to the water cures protocol. Some who take the salt dissolved in the water experience this. Note: some are able to take the salt in the water without getting upset stomachs. But if you experience nausea due to dissolved salt in the water, only dissolve the salt in the mouth. There are other factors that could cause the feeling of illness. Some have experienced the Hoskins Effect and some have experienced the Herxheimer Reaction. Check out the next FAQ on this for more information. Q. Why am I getting sicker when using the water cures? A. this could be for several reasons. If you have ruled out the above response, then there could be another cause. It is called the Herxheimer Reaction. In medical terms, it is called an exacerbation of symptoms in direct response to the detoxifying or anti-inflammatory therapy. Think of it as your body does not like shedding the toxins and as a result, becomes unbalanced, ie, you feel sick. If this should happen, slow down and start the process more gradually. 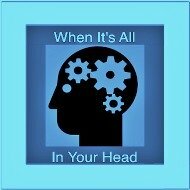 Q. I'm On Multiple Medications: Why Do People Say to Start Off Slow? A. As your body improves, the drug you are on may work too good. If under a doctors care, you should only proceed with the doctors supervision. If the doctor would prefer a consult, we may be able to provide another doctor he can talk to. The water cures protocol can very quickly restore the body to its natural state for some people. If you are on a lot of medications or on certain kinds of medication, you could end up in an overdose state. For instance, blood pressure medications and thyroid medications need to be monitored closely if you start the water cures protocol. Check with your doctor before starting and as you progress. Never stop taking any medication in order to start the water cures protocol without talking to your doctor or pharmacist first. Q. What Should I do If My Blood Pressure Goes Up? Q. Can I carry salt on the airplane with me? A.Yes you can carry salt with you but it may be checked. I brought several bags on with me leaving Scranton Wilkes-Barre to a convention in Las Vegas. On my return flight, still having one bag of salt in my carry on and not thinking anything about it, they not only stopped me, they had to chemically check it. They at least let me open the bag (cloth bag, requiring cutting some of the stitching. Inside that was a plastic bag. They cut the plastic, checked it chemically and it was OK. The bag was marked Himalayan Salt. So it may depend on the place where it is checked. 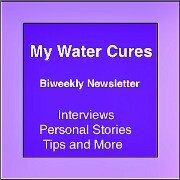 Can You Add To The Water Cures FAQ? Add your Question below. Help build the authority site of Water Cures. Submit Your Questions: Fill in below and ask away.